PLUS SIZE BEST SELLER! Long sleeve sweater dress (with hoodie). Contains raw edges on the neckline and hem. 100% cotton. 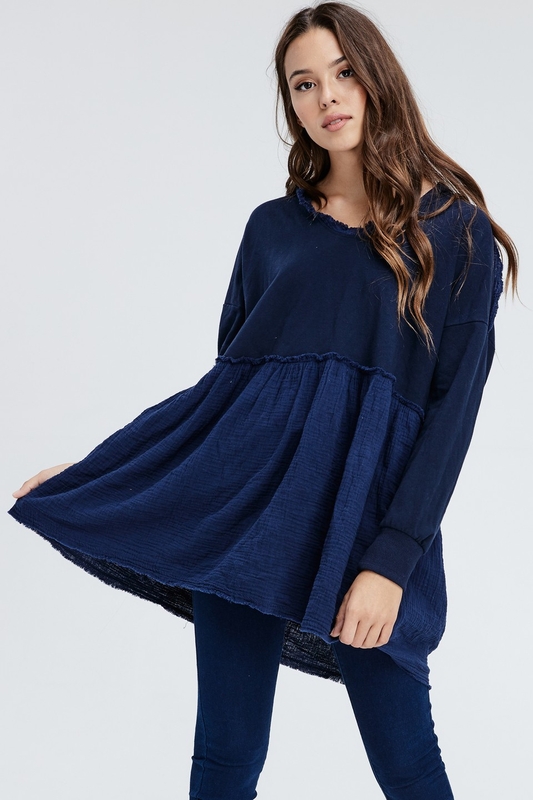 Model is 5`8 wearing size small.